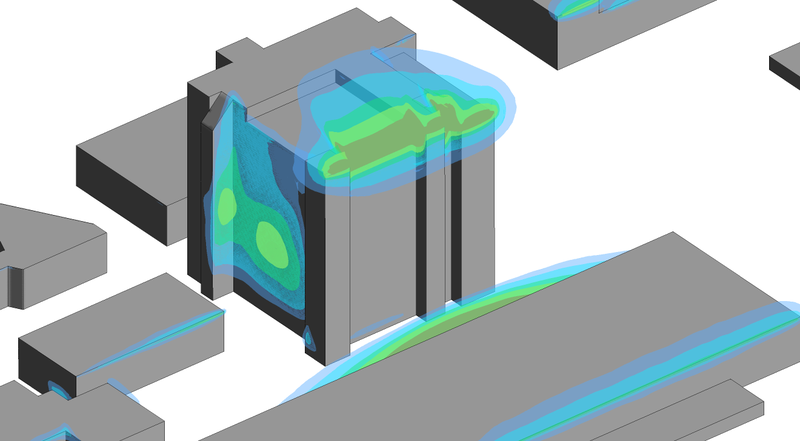 In the field of wind engineering, LEAP has seen first-hand the rapid transition of CFD from academic curiosity to an established and well-validated methodology that is accessible to all engineers and consultants in the industry. 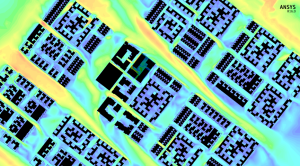 In Australia and New Zealand, ANSYS CFD continues to gain acceptance as a tool for wind studies involving façade loading and pedestrian comfort. 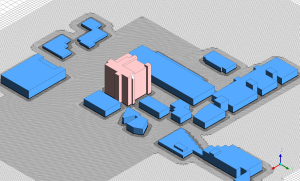 Challenges are posed by complex urban geometries and the transient physics involved, but ANSYS has invested heavily in better pre-processing technologies such as ANSYS Spaceclaim and ANSYS Fluent Meshing, as well as the development of high-fidelity hybrid turbulence models, more robust numerics, and improved parallel scalability. Seamless coupling with ANSYS structural mechanics also provides a powerful toolset for the assessment of structural integrity and fatigue for building façades and similar structures. CFD simulation was previously viewed as a mere complement to traditional experimental wind engineering techniques (i.e. on-site, or reduced-scale wind tunnel tests). 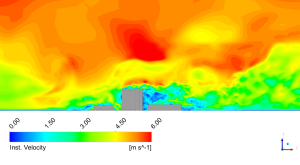 However, with these recent developments, CFD simulation now shows clear advantages in not being hindered by the similarity criteria in reduced-scale wind tunnel testing, and an ability to capture and report the full complexity of the turbulent flow-field (being unrestricted by the number of experimental gauges, unlike physical testing). 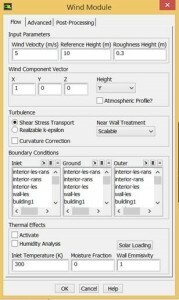 Furthermore, the relative costs and faster turn-around time associated with computational simulation over traditional wind tunnel testing now makes it an extremely attractive option for wind engineering consultants conducting both early-stage conceptual as well as detailed design studies. Multiphase flow such as the transport and deposition of sand, dust, rain, hail, and snow. 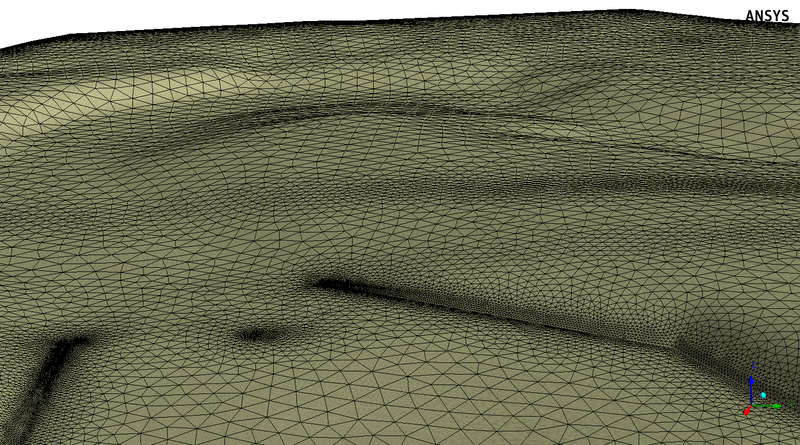 For these applications, high-fidelity CFD simulations provide very detailed information on the relevant flow variables in the whole calculation domain, under repeatable operating conditions and without any issues of similarity/scaling constraints. 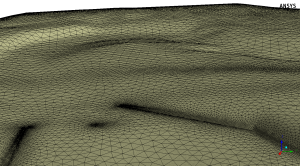 As an example, engineers at LEAP Australia recently contributed to the emerging body of work using CFD in wind engineering through a partnership with the RMIT University UAS Research Team. The team used high-fidelity CFD simulations of the flow over the Bundoora West campus of RMIT University to visualize regions of potentially high wind updraught regions to assist with Micro Air Vehicle (MAV) energy harvesting and flight sustainment. 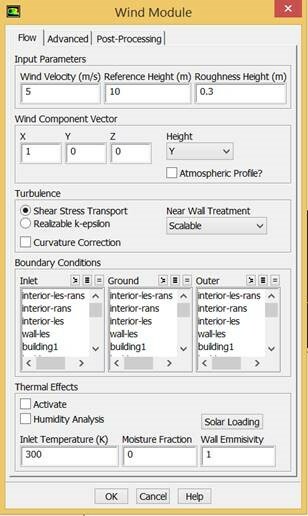 Thanks to the customizable GUI available in ANSYS Fluent, engineers at LEAP Australia have also developed a streamlined and automated workflow for wind engineering studies (see above). The WIND MODULE accommodates many of the best practice guidelines and models required in an easy-to-follow workflow for new and existing users alike. 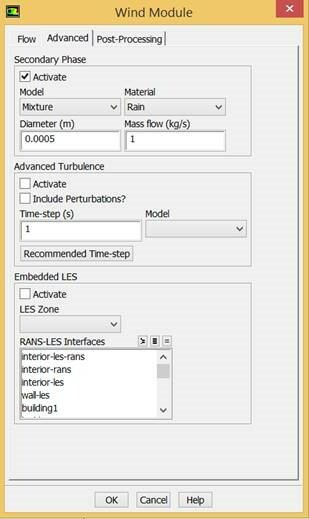 This new WIND MODULE, combined with the increasing robustness and speed of ANSYS Fluent for handling large-scale complex grids of arbitrary quality, means that ANSYS is clearly the tool of choice for studies involving wind engineering and industrial aerodynamics. 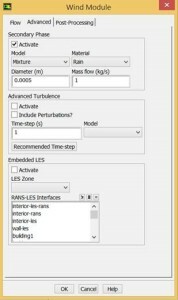 LEAP will be demonstrating the new WIND MODULE in a free webinar on April 29th (recording now available). As someone with some experience in this area the major problem I find is in preparing suitable computational geometry. I do make full use of Spaceclaim but still find the kinds of geometry that our clients provide very time consuming to prepare compared to other kinds of flow problems. Are there any particular techniques that the authors use to speed this process up ?